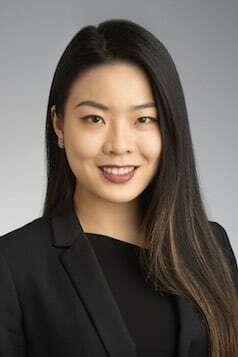 Attorney Veronica Du is a New York Licensed attorney from China fluent in both Chinese Mandarin and English, working with the Managing Attorney of the firm's Social Security Disability Department L. David Ferrari, Esq. Veronica received legal education and training in both the U.S. and China, receiving her LL.M Degree from Vanderbilt University Law School, and her Bachelor of Laws from Sun Yat-sen University Law School in Guangzhou, China. Veronica's parents have both been dedicating judges for over three decades in her hometown city and inspired her to start her legal career beyond the borders of China. After graduating from Vanderbilt Law School Veronica worked as a research assistant at the the Nashville Office of the Southern Environmental Law Center.